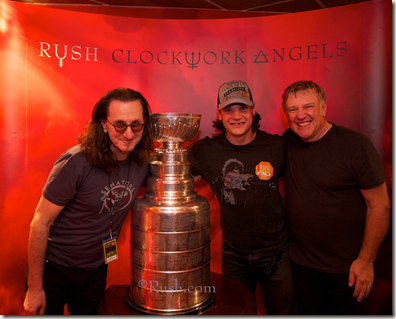 We've seen Neil Peart with the Stanley Cup (during the recording of "The Hockey Theme"), but the Cup has never made an appearance at a Rush concert. Until now. 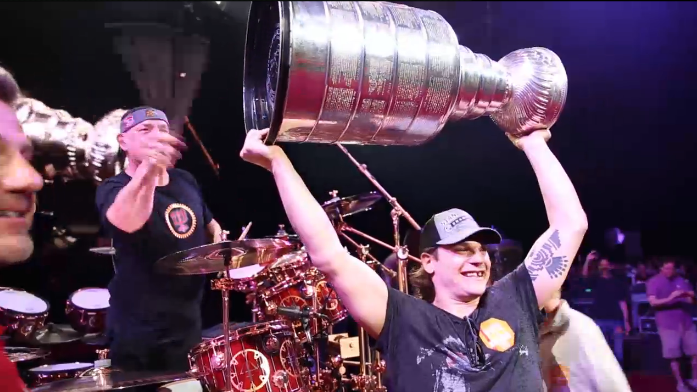 On Friday night, a few of the 2013 Stanley Cup champion Chicago Blackhawks players, led by Daniel Carcillo, brought "Lord Stanley" onto the stage for a little 2-minute celebration. 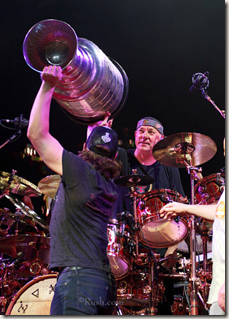 Everyone touched the Cup. Then Neil tried to play it. 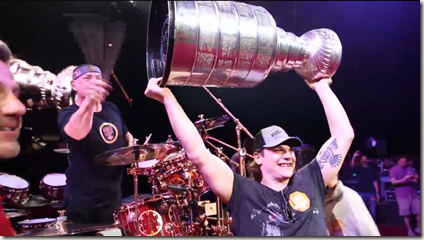 Neil pretends to play the Stanley Cup (screen capture from video below).